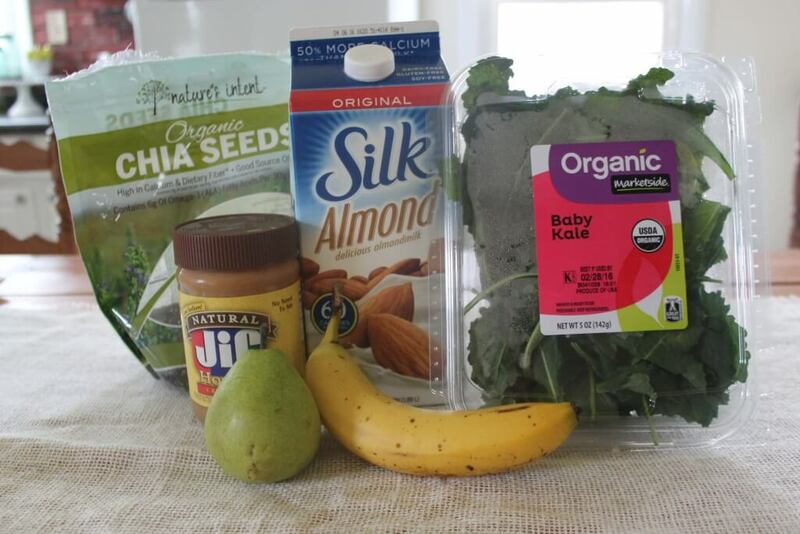 If there’s one thing we love in this household, it’s a good green smoothie recipe. I love smoothies, and my toddler loves smoothies. They are a great way to add a concentrated dose of fruit to your diet, and, in the case of green smoothies, even sneak in some vegetables! This particular green smoothie also packs 10 grams of protein per serving, which makes it great to drink after a tough workout. I’ve been drinking (and serving my toddler) many different green smoothies for a couple of years now, and there is certainly an art form to balancing the sweet/bitter combo of fruits and veggies. I have to tell you, not only does this fella break a lot of my green smoothie rules, it knocks all other smoothies out of the water! I just don’t know why it tastes so good. 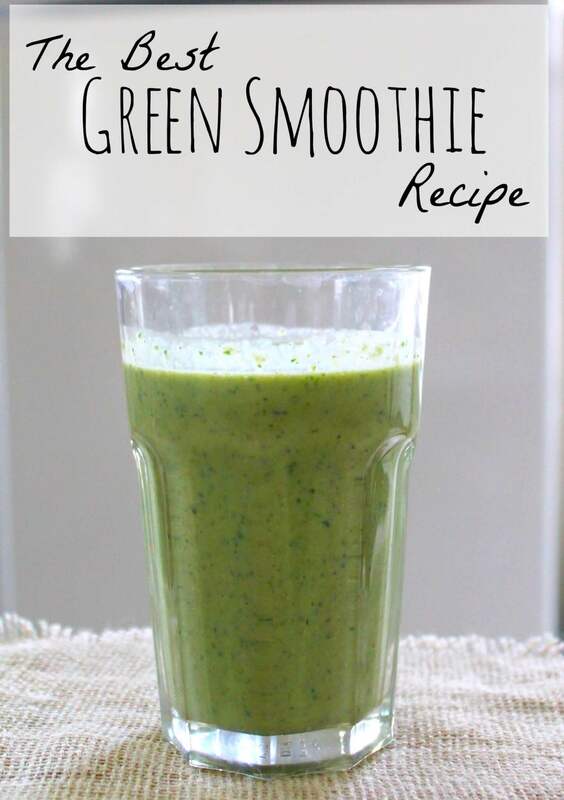 If you are new to the realm of green smoothies, I definitely recommend starting with this one! We have been having it every single day for a month now, and still aren’t tired of it. Do you wanna know how delicious it is? My two-year-old asked for a cookie the other day, so I gave her a choice: a cookie, or a green monster smoothie (that’s what we call this blend of awesomeness). Guess which one she chose?! The. Smoothie. That’s when I knew I had to share this sweet-nectar-from-heaven concoction with you! It’s based on this recipe here, but we jazzed it up with some chia seeds for extra protein. Slice the pear and banana, throw all of the ingredients into the blender and process until smooth. Drink it–drink it now! Yes folks, its that easy. Make sure you buy baby kale, not the full grown daddy-sized kale. It’s just a little too bitter for a sweet smoothie like this. I wouldn’t substitute dairy milk-I think the sweetness of almond (or coconut) milk is necessary for the awesome finished product. If you don’t have any frozen bananas on hand but want to try it now, just throw in some ice cubes with your regular, non-frozen banana. Okay, that’s it guys, go nuts! Six easy, healthy ingredients and you’ve got yourself a delicious, kid-friendly, dare I say it–the best ever– green smoothie recipe of all time! I can’t wait for you to try it!